Perth rainwater tanks are a simple way for a household to have backup water. This is an important concern in the Western Australian city considering it is Australia’s driest major city. The idea of saving the water that washes off your roof during the rainy season to do more than splashing off the side of your house makes sense considering the numbers: if your roof has a surface size of 1900 square feet—a respectable roof-size for a medium-size home—you can expect a yearly rainwater harvest of 12,000 to 14,000 gallons, depending on the amount of rainfall. That’s enough to a fill a 25-foot swimming pool. You can do a lot with that amount of water, like water your lawn or clean your dishes, and the great thing about it is that, with a minimal investment, this water is essentially free. There are also other benefits to collecting rainwater other than financial ones. The rainwater you save in your tank is also rainwater that isn’t causing the ground erosion; rain often washes away top soil resulting in ground that’s less fertile and dumping the sediment in waterways. Additionally, the less water you use from local aquifers helps them to replenish and augments the local water table. With all of these benefits, homeowners should be clamouring to have their own rainwater harvesting tanks. 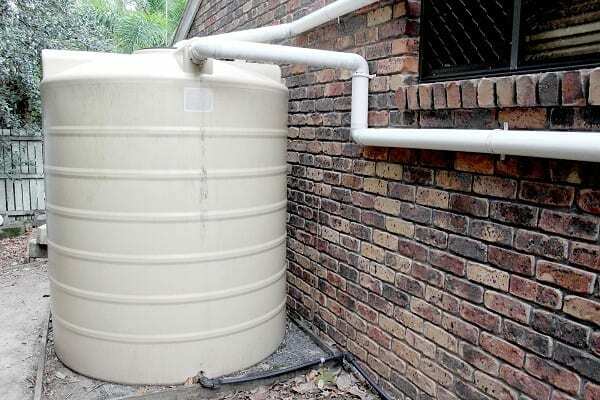 To start, contractors experienced in installing rain water tanks in Perth like Rainfill Tanks can help you setup all you need. First, they’ll determine whether your roof is appropriate for water collecting. Some roofs use lead-based paints and tar coatings—things you don’t want to find in your water, even if they are only for cleaning and bathing. Second, they’ll ensure that your water collecting system, specifically your gutters and pipes, are well-made. Gutters can easily get clogged by leaves and dirt so mesh covers are an excellent way to let the water in, yet keep them clean. Additionally, installation of gutter outlets ensure that no sludge builds up in your pipes to dirty up the water you collect. Third, filters are installed to ensure the cleanliness of the water you’ll be using. Rainwater looks clean but it can have microorganisms living in it, as well as other contaminants. Filtering the water before it enters the tank for storage ensures that you have a clean source of water in your home. Finally, the tank itself is placed. Many people assume that tanks are bulky, unsightly things, but some modern designs are made to save on space and look great like slimline water tanks. Contractors will help in your choice of tanks and where to locate it for maximum convenience and water quality.